For all that MuseScore 1 was a decent entry-level scorewriter, it wasn’t until 2.0 that MuseScore really started to compete with the biggest names in the industry—astounding coming from a free and open-source project that no one had ever heard of five years earlier. It took a few years longer than anticipated, but when MuseScore 2 arrived it was simply massive. Since then, from March 2015’s release of MuseScore 2.0 through April 2016’s release of MuseScore 2.0.3, some major changes and improvements have been made (among them playback of trills, ornaments, and glissandi, a more platform-independent rendering system, and a significant new notation element that didn’t exist before). But all of those changes have been in patch updates to 2.0. You can imagine how significant, and how far off, MuseScore 3.0 must be. I’d like to be clear: The features we're going to discuss in this post are not, by any means, “coming soon.” This is a work in progress, and that is likely to be the case for quite some time to come. But work on MuseScore 3.0 has begun! There hasn’t been such an exciting time since the team first started developing MuseScore 2.0—or maybe even MuseScore 1.0. So, it is my pleasure to let you know what’s going on behind the scenes. This is the first in a series of posts over the coming months, tracking development as it happens. Broadly speaking, the vision is to make MuseScore smarter, faster, and easier to use. Of these, the smarter aspect is probably the most interesting, as well as the most complex to implement. In future posts, we’ll look at the faster and easier improvements; for now, let’s dig into smarter and see what it means for the future of MuseScore. One of the more important changes introduced in MuseScore 2 was a set of improvements to the note/accidental layout algorithms. Basically, it was all too common for MuseScore 1 to position notes from multiple voices halfway overlapping each other, and accidentals were often in the wrong order, leading either to bad sheet music or a regrettable amount of manual adjustments. MuseScore 2 delivered an outstandingly improved system, with default positioning adhering to the highest standards in engraving, and manual adjustments to notes and accidentals essentially never called for. Now, the next level is everything else. How often do you have to drag a tempo marking off the rehearsal mark it was overlapping? Or reshape a slur to avoid crossing through the notes in its midst? Or use a staff spacer to make room for some high notes? The frequency of problems of this sort is undoubtedly MuseScore’s biggest limitation currently, and it’s come up again and again. 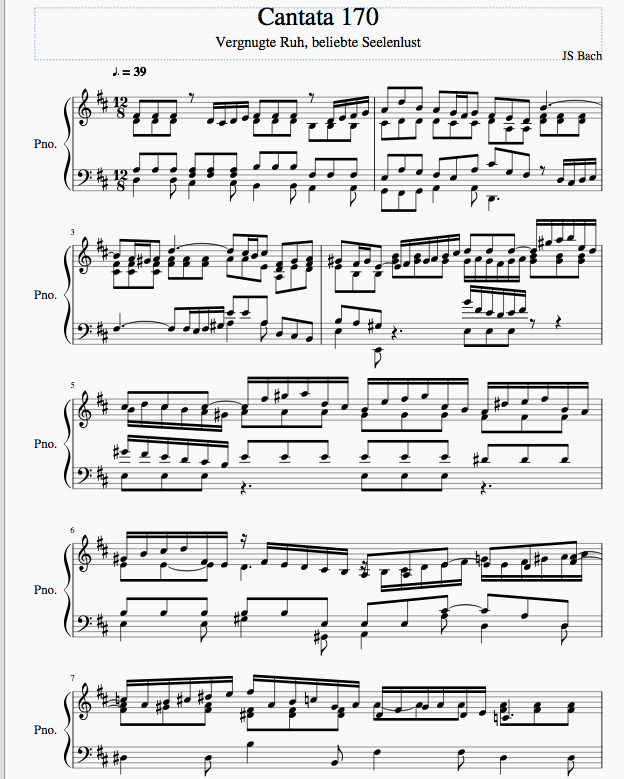 And that is only the beginning of what's going to be coming in MuseScore 3. So let’s fix that! You can help us develop MuseScore 3.0 by testing the latest features in the nightly builds, and reporting the problems you encounter. Your feedback is very welcome in the Technology Preview forum, and precise bug reports can be directly posted in the Issue tracker. If you’re a programmer as well as a musician, we would appreciate your help fixing the bugs—as MuseScore is free and open source, anyone can get the source and share code contributions on GitHub. You can also support the MuseScore 3 effort in the simplest way with a donation. Really exciting time for us. I won't speak about very advanced score edition features, because I don't use or know them, but for a "normal" user as me, there really won't be any reason to use something else than MuseScore 3. Even for advanced scoring MuseScore 2 is absolutely apropriate already. Know what you mean. I recently purchased Dorico2 and was stunned how fast you can be writing some musical ideas down. However, I quite appreciate having some good freeware at my fingertips when I need it. Also I like the MuseScore community. I know I asked this once before already, but what languages are used in the coding for this? In reply to I know I asked this once by Alex N.
What level of proficiency does one need to be of assistance? I know a fair amount, but I am by no means a professional. In reply to What level of proficiency by Alex N.
amazing. when will musescore be available for tablets and ipads? There's the player/songbook app currently. will there ever be a song creator app, not just a player? Oh, yes. Percussion is a mess. Especially the playback. What's wrong with percussion playback? It should be pretty good already in 2.0.3, after #96451: Use orchestral sounds for orchestral percussion and the marching percussion sounds now included with the package. I should probably check that out, I haven't updated yet. Does this include rolls though? The way that it samples rolls doesn't sound good at all, because first of all, since it's essentially just repeating a sound it doesn't have any interaction between the sound which makes it actually sound like a roll, but it's also not an accurate representation of a roll because of how drum sticks or mallets will interact with the head, and drag across it and such. The last thing, is that it doesn't really give much room for different kinds of rolls on a snare drum, since you have your buzz roll (or your closed roll, however you play it), and you have your open double stroke roll. I know I'm probably asking for a bit too much, but it would just be extremely nice if when I added a tremolo if it would play a roll sample instead of quickly repeating a single stroke sample. For me, the current implementation of rolls/tremolo works pretty well, especially with the orchestral sounds. I used quite a lot of that in the snare drum part at measure 37 (page 5) in this march, https://musescore.com/user/607771/scores/1610271 —does it sound so bad to you? It's true, though, that notation takes priority, and not so much gets invested in playback. In the context of our march, it doesn't sound that bad, but that's because that's more the style of roll that you would hear in a march. In marches, (if you get a half decent percussionist playing the snare part), you generally hear double stroke rolls. This means that for every stroke, you get a rebound. So you play 16th note strokes, but you hear 32 second notes because the rebounds double up. But in a more orchestral context, you generally hear buzz rolls or triple stroke rolls. (these are both different ways of getting a smoother, closed roll). A buzz roll is when the percussionist will essentially press the drum sticks into the head creating a somewhat more sustained sound than a simple tap. If you then play this at 16th notes, you get get a much smoother, more sustained sound, (although it can sound really choppy if it's not done well). Triple strokes are pretty similar to double strokes, but instead of one rebound, you get two that are played faster, as triplets (in combination of the original stroke). Those kinds of rolls are a lot softer. Hopefully you can kind of hear the difference. btw, when I'm referring to open and closed in the context of rolls, I'm essentially meaning how close together the notes are. The more open a roll is, the easier it is to distinguish individual stokes, while the more closed a roll is, the more smooth it sounds, and the harder it is to hear the individual strokes. I do think that a major part of the issue though, is that cutting down notes that where played long to sound short just doesn't work. It's just that percussion uses a lot of quick notes in succession so often, that it would be nice if it got a bit more attention. (I'm of course biased though, since I'm a percussionist). as a percussionist, I second the comment. The playback is so... wrong! My biggest peeve is that timpani and—especially—marimba rolls cause playback to choke up completely, and does so much more readily when using 3rd-party soundfonts, such as General User GS. Using the two slash tremolo instead of three seems to clean things up nicely. Again, I understand that there may be serious development time limitations to implementing "smart" marimba roll playback, but rolling on 3 and 4 note chords simply sounds awful, since it plays the entire chord over and over instead of arpeggiating the individual notes within the chord. I second this comment, every roll on a chord sounds so jagged, they do play the same chord over and over again, and they don't sound smooth like it should. I hope there is a way to fix this problem in the future. And about the timpani, they sound more like a floor tom, and less like a pitched timpani; we need to hear more of the pitch, especially on lower notes where it's harder to hear the pitches, and easier to implement it as a floor tom sound. On a side note, hopefully, the tuning could be a little bit better as well, especially on percussion ensemble pieces, or pieces that use a lot of percussion, but that's really a minor problem. I'm not even a percussionist, I'm a vocalist! But I understand what you're talking about and I did notice the jarring playback of rolled percussion parts, especially the snare drum. But of course, notation takes priority over playback.. Understandably so. I'm glad to hear about the development of this new MuseScore version. And well, I'd like to propose a new improvement. You know that when you are working on a score that has two parts on a staff, when you copy a part and paste it somewhere else, what was written in the other part doesn't stay. It would be nice that you could make an only selection of the part you want to work and paste it where you have a rest corresponding to it without erasing another part's notes. I hope I explained myself clearly. I'm from a foreign country and I haven't spoken (or written) in English for a while. You should put this in [[https://musescore.org/en/forum/7|the feature request forum]] — otherwise it might get lost. Just saw this. Actually, you can copy a voice from one staff to another without deleting the other voices. You have to use the selection filter. Select the music you want to copy. In the selection filter, unselect the voices that you don't want. When you paste this anywhere else, only the notes in the selected voice will be deleted. Other voices will be left as is. That's a shame. Does https://musescore.org/en/node/51666 help things to make sense at all? Seems like I read that--and a few others. I would probably have to re-download and play around with it to specify what I didn't like. You can have them both and even use them at the same time. The last two years I've been talking about MuseScore quite a bit with my fellow chamber singers; difficult vocal harmony lines can easily be plugged in from the sheet music, and the part "played" for you. It's like sectional practice without heading to the hall. Add the other parts in, take out your part and test your prowess....can you "stick to you guns" acapella? Great way to learn and practice! How do you do that? It would be so easy to just let the computer play my part for me as I rehearse!! You should start a new thread and ask your question clearly so other can benefit from it also. It will be hidden in a long unrelated thread otherwise. This is exiting news however it could mean we cannot expect to have "medium" updates of MuseScore, e.g. 2.1 during the next years. The master branch is now v3 development. Is v2.0.4 planned to be the last v2.x release? What about GSoC 2016? Is this going to v3 development only? @drowo All current development is entirely focused on the master branch which will eventually lead to MuseScore 3. So GSoC students and all other development is happening on the master only. There is a 2.0.4 branch, for which pull requests (patches) are accepted. There is no certainty if 2.0.4 will ever be released. It entirely depends on development speed of MuseScore 3. Great to hear that Musescore is getting smarter :) I just made a donation, because I love what you guys are doing...freely. I use Musescore exclusively for my transcription service and the scores I provide for my YouTube covers, and I recommend it to anyone who asks haha! One request for Musescore 3 - could you provide an "insert pedal marks for the entire section marked" option please? One that "changes pedal" automatically at every chord change. That would be really wonderful, so that I won't have to put in the marks myself under the (sometimes) hundred odd bars! MuseScore totally rocks! I want to thank the developers for creating a tool that has made a huge difference in my life. Would you be able to implement the ability to use sfz soundfonts? But to be honest support right now is very limited. But I'll improve Zerberus during GSoC2016. So if you're interested you might follow me on my blog. I would be happy if you could say what features are most important to you! Until now I didn't write about zerberus - but soon there will be something about it! MS 2 was a tremendous improvement over version 1.x. I've been using it for some time, because the copies of copies we receive of sheet music are sometimes close to unreadable. For me the problem that bothers me most is text (lyrics) entry. If I find other scores in MuseScore format, I'd usually like to alter the font size. However, when I change this in the text style, it's not reset to the new size. I actually have to select each and every word in the lyrics, and reset in the inspector panel. This is a cumbersome task and should be unnecessary. When I come to think of it, this also applies to title, subtitle, and so on. Entry of some accented characters, like for instance ä, ö, á etc. is close to impossible. I can copy and paste, but after pasting the clipboard is empty so I have to make a new copy. This is a grand waste of time. It should be possible to copy/paste lyrics from a file, not just ford for word but line by line, or better, verse by verse. Naturally, hyphens are used the same way as when entering manually. If errors are made, a slight change in the lyrics on file should take care of the correction, which in many cases will result in placing the text in its right position. I SO look forward to version 3.0, or even the next sub-version whenever it should come. MuseScore 2.0.3 is a great program, but nothing is ever perfect. All we can hope for is for it to get even better. lyrics text style is changeable via text style, all syllables in one go, in 2.0. And on a 1.x score, just right click one syllable, "Select all similar elements", and then in Inspector use "Reset to text style", now you can change the text style for even and odd lyrics and this will Change them all. Entering Lyrics with a nōn-standard keyboard is tricky… for example, I have ä on Mode_switch-d (Mode_switch is mapped to the Alt key, and Alt to the Windows key). Also, inserting stuff with middle-click does not work, and with ^V only sometimes works (I occasionally insert special Unicode characters by copy/pasting from a text file). If you want to send regular donations you could just pay for a Pro account on MuseScore.com. That gets you other benefits too, but you don't actually have to use them if you don't want to. Please, remove (this horrible) Jack Audio and add a full support of MIDI IN/OUT interface! In reply to What about proper crescendos by Mattdb00. I'd like to request a feature that allows repeated lines to be played only the second time through, if that's possible. It would be very useful if you could copy and paste more than one measure at a time. For example on finally notepad (although Musescore is better in every way) can click and drag the mouse to select multiple measures rather than just one at a time (which is super tedious). There's no one-measure-at-a-time limitation in MuseScore—see https://musescore.org/en/handbook/selection-modes#range-select. I hope that figured bass will be realized autmatically only if I put numbers. I understand (But respectfully am a little bummed by) how notation takes priority over playback, but can vocalists get a little love? The default human voice sounds are all flat. And annoyingly every pitch is flat by seemingly different amount of cents. So for the sake of playback, I manually retuned every pitch in my score just so it all sounded less muddy. Not many people seems to have noticed this, but I have, and it's bothered the heck out of me. So unfortunately I guess I'm of the minority here. Most likely, this is nowhere close to being a primary goal of muse score 3, but can the human voice sounds be returned to adhere to 440 hz equal temperament standards (or whatever you would call it) or at least can the tuning feature have the ability to where if you want to change the tuning of say, the A5, every single A5 in the score will be affected, not just the single pitch you selected. And additionally if possible, have the option to only have the change apply to one, a select few, or all instruments. Yes, I can choose another sound font. But so far, I've found the default human voices have the best "choral" sounding tone, they just sound slightly flat and out of tune with one another. On the subject of vocals, if hairpins/dynamics/etc. can default to above the vocal stave (instead of below, like instrument staves) my life would be much easier. I believe that I brought this up as a feature request some time ago, but there didn't seem to be much interest from the development team. I seem to remember the big puzzler was how to apply different styles to different staves, am I right? Certainly for a vocal-only score it's easy; just change the vertical positioning parameters in Style - General... - Hairpins, Volta, Ottava, and in Style - Text - Dynamics. I seem to recall that underquark knows how to set up a custom dynamics palette, where the default position is wherever you want, so that you can have a normal forte that defaults below the staff, and another that defaults above. I wonder if the technique can be used for the other items that you mention, and if they can go into a new "vocal staff" palette? For dynamics, yes; hairpins, no. Just to clarify, the ability to place dynamics above the staff is much easier. However, it is not placed above for vocal scores by default. What we really need is the option to put lyrics above the staff, and then dynamics etc should go on the opposite side of the staff (or wherever there is space if there are lyrics above and below the staff). You have to update the guitars completely. They don't sound anything like actual guitars. There are very important aspects missing from it such as palm mutes, vibrato, harmonics, and a working capo system(Yes, I know i can just tune the strings up, but that is inconvenient and also causes it to sound horrible). Also, I have read that you guys want to be better than the other guitar tab software. If you want to, I suggest adding effects, such as flanger, reverb, and tremolo, and allowing the tracks to switch between those effects and the clean tone. If you would be able to implement these things, it would be very much appreciated. The problem with that, is that MuseScore is currently limited to the sounds of the General MIDI — here is a list of the available guitar sounds. Maybe we should add some of the existing channels, like harmonics (to all guitars? ), muted, distortion, overdriven, maybe jazz (to electric guitar?)? Here's how it'd Sound, as per that 'harmonics' is not for acoustinc guitars, but mute and jazz might. The harmonics sound definitely does not work for acoustic guitars. It's the sound of a [[https://en.wikipedia.org/wiki/Pinch_harmonic|pinch harmonic]]. That said, there might be another sound in the GM (not necessarily a guitar sound) that would be an okay simulation. If you really want these sounds, you might look for a good specialized guitar soundfont—see [[https://musescore.org/en/handbook/soundfont|help with soundfonts]]. I just posted my 3rd blog entry. I was conveying something similar to this aka something I hope to see in the future! I just wanted to say thanks to anyone and everyone who has contributed, in ways small and large, to the MuseScore project. It's been a boon to me. It sounds great. But a plea. Can we have the Brass Band Score option back please. I find it great for arranging for my own 25 piece Brass Band but I had to rescue the Brass Band Score from Musescore 1 to use in Musescore 2. I had to delete the Bass Trombone as it plays an octave too low and substitute the Orchestral Bass Trombone but it is a good tool. The playback feature of Musescore is invaluable for learning brass instruments as you can wear earphones, watch the cursor and effectively play along with others, in Tempo is a vital skill for Brass Bands. Blanking your own part, or other parts to is also useful. I know there are very few British Brass Band scores on MuseScore but I have started to upload some of mine and there is a big pool of potential users with hundreds of British Brass Bands each with twenty or so members. David Broad posting as Broad-Band Music. Thanks for reminding me! I hereby promise to return to that issue and do my best to bring back the brass band. In the meantime, try the template attached to https://musescore.org/en/node/53891#comment-429446 . That's basically what the finalized version is going to be—the only problem with it is that the way some of the instruments are defined is different from what they normally would be. To install the template and use it just like normal, see https://musescore.org/en/handbook/create-new-score#templates. By the way—there's no need to blank a part if you don't want it to play back. Just go to the Mixer (View > Mixer, or F10 on Windows) and hit "mute" on any parts you don't want to play back. I feel like one of the changes that needs to be made is on copying/pasting. When you copy a section it doesn't also bring a tempo marking. Could be configurable in options maybe? I also have trouble with repeats, it's kind of similar I guess. Repeats are rather impractical. I think there should be a way to configure if a certain part plays during the first/second/etc. repeat. Too often I see people use text to say that a certain part (ex. flutes) only play second time. It would remove the playback of the part during whatever repeat time. Just some extra details that would help. Add the +picc. and -picc. text. Maybe use a "flute and piccolo" part where you can use text to add/remove piccolo. Make some better export things, like sound fonts can be uploaded with a piece to musescore. Maybe it inputs it directly into a musescore file instead of client side. So you know, downloads and stuff would also be helped by that. That's all my suggestions/complaints... If any of them get worked in kudos to the dev crew. Please be sure to add a feature that allows crescendos to play while a note is being held because lots music uses crescendos that way. Also I want a better support for the Gong sound (Gongs bring music to a whole new level). I'm no sure the General MIDI actually supports gong sounds—MuseScore uses the "Tubular Bells" sound for the tuned gongs and some sort of crash cymbal for the bowl gongs. You can probably find a specialized soundfont with gongs if you Google it. See https://musescore.org/en/handbook/soundfont for help. I suppose this will mean a new edition of Mastering MuseScore as well? please include a new recorder sound font because the present one in fluid3 is out of tune. i agree that the imperfection makes it sound more "human" but it is just too much. some notes rise and fall in frequency and never go into tune and it is really horrible. i like to upload some scores to youtube but they are uploaded with the fluid3 samples and it's horrible. Actually, you are able to upload the scores to youtube with a different soundfont. You just have to add the media source, basically an mp3 file of your score with the right soundfont. I think most people would agree that the interface is much better than version 1, but there is always room for improvement. What exactly would you like to see improved? Do you have examples of other programs (not necessarily music related) for which you do like the interface? For example, the apps of Office 2016 and the Material Design by Google have a very nice look and feel. A flatter interface, with thinner icons and traces. I'm adding two examples of what I'm saying: the Calligra Suite toolbar, using Breeze icons and theme, and the toolbar of Notion for iPad. I mentioned Breeze only because I think it's the most adherent theme to these modern guidelines and compatible with Qt, so I think it won't be hard to change. I agree that the look and feel can be better, but please do not change it to something like the attached print screens: they look like what some companies try to do today but ... they are ugly for me. I have to agree with @frfancha. I hope this new version can create additive time signatures like 3/8+4/4 or 2+3+2/8 time. If, for 3/8+4/4, you're content with simply having the two time signatures next to each other (without the +), you can do that too. Is there a way to work around the 32nd note view usually being wider than the window? I can't seem to scroll to the right to complete the subdivisions in the measure. I can resize the window. It would be nice if there was a scroll horizontally option though. Yes, I also want to see that fixed: #84416: Allow long note groups to scroll or pan in "Create Time Signature" dialog Somebody submitted a fix eighth months ago, but it hasn't been merged yet. Feel free to add your comments there, or on the PR (https://github.com/musescore/MuseScore/pull/2288), to draw attention back to it. I can’t resize the window, my display is only 1024 pixels wide. Please be sure to add some real Gong sounds!! and instruments such as anvil, or chains. No offense, but is it really so hard to record the sounds of these real life objects and insert them? I'd do it myself if I had the knowledge or resources! :) Also I'd appreciate an actual sine wave, square wave, and saw wave programmed into the synthesizer sounds! I don't mean to be rude on any account if it seems so, but I am at a loss as to how else I could put it. Thank you for your consideration! The thing is, MuseScore uses a General MIDI-compliant soundfont: so no sound that isn't listed here (https://en.wikipedia.org/wiki/General_MIDI) can be added. The good news is you can install specialized soundfonts (https://musescore.org/en/handbook/soundfont)—there's surely a good "uncommon percussion" soundfont out there. The GM is supposed to have sawtooth and square leads though. What's wrong with the current sounds for them? EDIT: Changed the links—I'm not sure why, but [[http://example.com/|links like this]] aren't working, even though they usually do. The way Thomas has the blog feature set up, it's markdown only for the blog and comments on it. So, [links like this](http://example.com/) work. We're currently working on improving the sfz-synthesizer Zerberus. If you have the samples you want to play it is incredibly easy to create your own sfz files based on these samples! I might write a blog article about creating your own sfz files at some point! I just found this in the debug version of musescore. It is a tremendous improvement over 2.0. 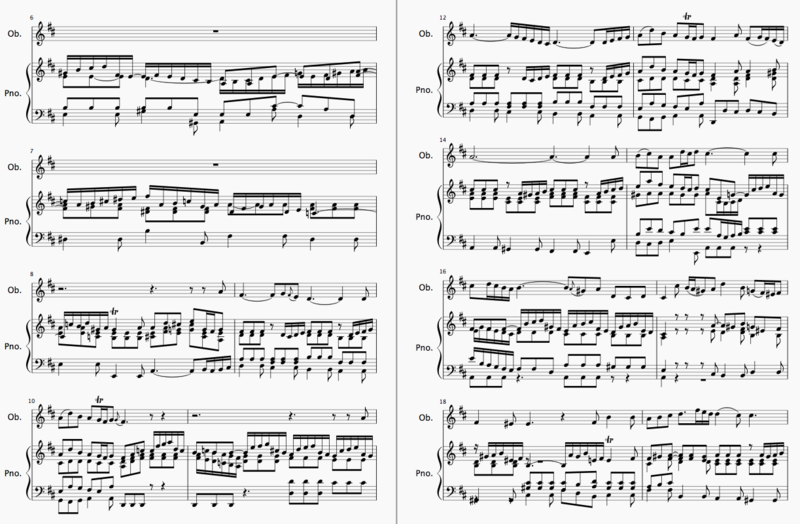 Here is the layout in 2.0 of a Bach Cantata score for piano and oboe. Many thanks for the great work. Good example. Could you share the source file? It might be useful for testing with. 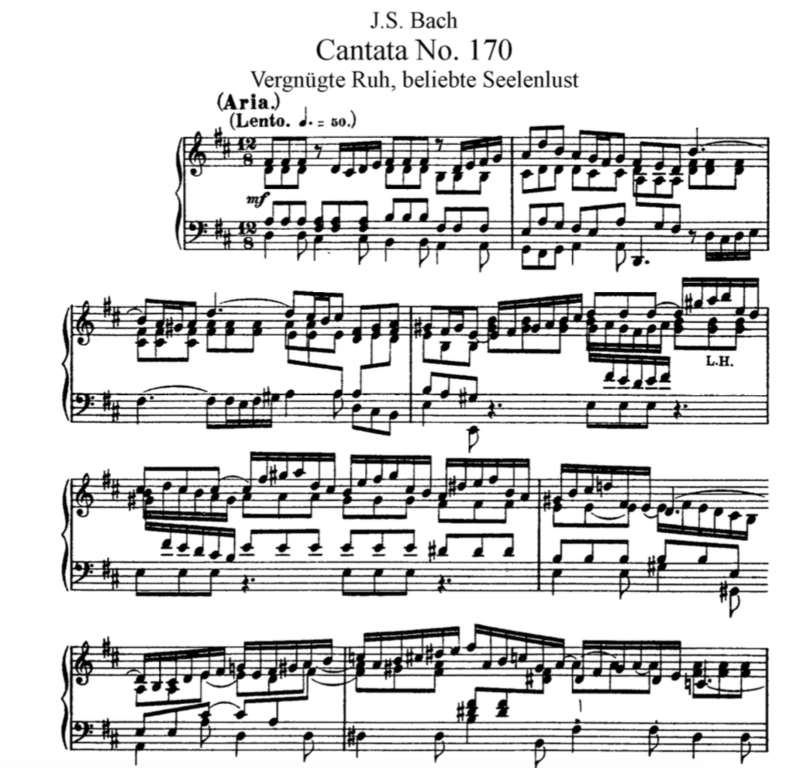 It is the opening movement from JS Bach's Cantata 170. Unfortunately this is not quite perfect (probably can't be perfect). See measure 4 in the attached score. The cross beaming does not make sense to me. What rendering do you expect? What would I expect is a very good question indeed. Perhaps I'd expect the horizontal beam for the bass clef to be below the horizontal beam of the treble clef. This example comes from an actual core which I captured. The original score was pretty difficult to read as well. Perhaps I can photocopy it and post an image. Here is an image of the original score I started with. Notice the cross-staff notes in measure 2, 3, 4, 5, 6, and 7. The nice thing about the original score is that it make it evident which notes are played with the right vs left hand. it easier or more difficult for a pianist to read? For example, in measure 4 there is a note B in the bass clef with 4 ledger lines. I'm tempted to make this a cross-staff note, but then the lines are really crowded and musescore crosses the beams in funny ways as shown in a previous post. Here is what I captured to avoid the confusing rendering. I welcome your input as to how I should capture this bizarre score with MuseScore. I would love to see "ritardando" added. You might want to check out https://musescore.org/en/handbook/tempo#ritardando-accelerando. Thanks! It would be very nice if the next update of this great piece of software would support historic and other non-equal temperaments. Of course, there so many of them. Therefore, I would suggest to expand this powerful selection method which currently allows one to select similar notes such that all notes with the same pitch can be selected. Then microtonal adjustments would be a quick thing to do. Musescore then can be extremely useful for learning intonation. I'm super excited for this. The smart layout is exactly what I want changed. I think you could make the midi sounds sound more realistic. Is there any plan to provide editing functionality in Songbook in the near future ... or shall I reluctantly go and buy Staffpad? @hopefulstrider we are working on this but don't expect it in the near future. Hi, I own Vienna samplelibrary is it possible to connect it to musescore? You really need to get midi import sorted out. It's very poor and more often the results are not worthwhile - you'd be better re-setting the whole work. This is probable the weakest aspect of the product. Too often I've tried to import my scores and the result is a mess, and not worth bothering with. Same again is true for importing midi from the internet, and a very poor result, too many voices too many cross stave splits, it's again stopping probably many from using this otherwise fine product. it will make people continue in the belief that open source is always the inferior product. I don't believe that has to be true. Whaouh, impressive, congrats to MuseScore. Note that the paper says also that their proposed method outperforms MuseScore, so there is indeed possible improvements. human performances on a MIDI keyboard." Please make us able to use notation in the ios app so we can create music without the need of having a computer or laptop. Some glyphs are there in hat e symbols palette (of the master palette), open it and search for pedal toe, heel. In addition to the collision avoidance, MuseScore 3 will have an in-score option (not a global preference) to place dynamics and other elements either above or below the staff. We just ask for your patience while we work on this and other features. I was just wondering if the smart layout was going to include moving the dynamic marks from under the G below the treble clef for example. That is far more important than have the accidentals appear under the note on the staff above. Existing scores on IMSLP leave the gap created by accidentals. It'll be a nice change, but dynamics and ornaments with notes hiding them is a far bigger issue that you have to find inventive ways to fix yourself. Can you post an image showing an example of the layout problem you're describing compared with how it should look? I don't know how to make the picture you want. Here's how you can see what it looks like, pick a treble clef, put an E below the staff (one octave below the bottom line) and then put a "p" dynamic on it. You won't be able to tell what the dynamic mark says. They are in the same spot. I'm delighted to see further developments in MuseScore. You get high marks for flexibility and usability. The looks are still behind Lilypond. If I know what I'm writing I use Lilypond for the quality of output. 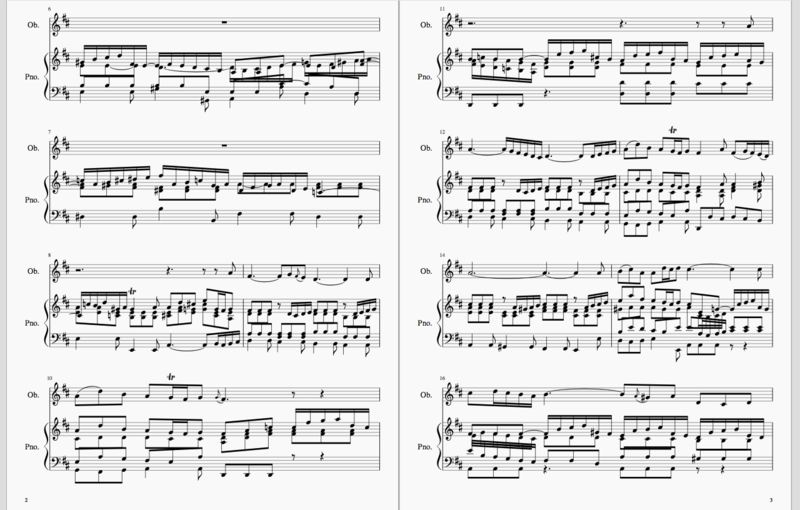 If I'm still tinkering with the composition, then Lilypond is just too uninsightful and I use MuseScore. Please ignore all these people that insist on quality of playback. That's what DAWs are for. I will happily input all the notes in MuseScore and then make a second pass getting everything to sound great in Logic. But that's just me. Have I sent you some money lately? I really should. Many thumbs up and thanks for a great product. Hi all, as a church organist and choir leader I've been using Musescore 2 extensively since I discovered it (by accident) on the net. I've found it excellent for what I need, rewriting music and harmonising melodies for my small choir and for key tranposition. It more than meets most of my needs already but I have a couple of choir members who read tonic solfa and it would be useful if the text writing process could be adapted to provide this facility to avoid the need to hand write the parts. Having said that, congratulations to all at Musescore for providing such a technicaly adept and comprehensive music notation programme. True the prgramme has frozen a couple of times but no harm done and I think I can live with the bugs given all the other advantages. I hope in the new version you are able to upload your song to youtube just like what sibulius another music notation software allows you to do and have the same instruments option sounds as them. And for what i think would be great for musescore, is to have the lyrics of a song being able to speak the actual words of the song instead of just music sounds. Is there going to be more options for guitar and bass sounds that are more realistic? The "virtual singer" idea has been brought up a few times as a candidate for a summer project through GSoC, but it would be such a large programming task for a feature that doesn't really help to create sheet music that it's unlikely to happen otherwise. As to the other two ideas, I think you may have missed that these are already available in the current version of MuseScore—for YouTube, use File > Save Online... and then refer to https://help.musescore.com/hc/en-us/articles/210260605-Send-to-YouTube, and for more guitar and bass sounds see https://musescore.org/en/handbook/mixer. I was thinking by adding the virtual singer in when putting a song online. or having it being able to have the virtual singer record your voice. So when you put your song online, the voice will be your voice. Is it possible to create a funktion which enables to copy a text from your texteditor to MuseScore? Text example: "Hur kan det gå att koppla texten till noterna." This is definitely a much wanted feature. You can already paste lyrics from a text editor—see https://musescore.org/en/handbook/lyrics#lyrics-from-clipboard. What you're requesting is for adding spaces and hyphens into the middle of lyrics to cause all subsequent lyrics to move. I wouldn't totally discount the chances of this, but I will say it's less likely than the occasionally floated idea for a "Lyrics Manager" panel in which the text would appear and could be edited to this effect. Indeed, the Lyrics Editor is exactly what you want. will we finally get certain features and instruments in 3.0 like an untuned orchestral gong, fixed marching percussion sounds, easier to use crescendos/decrescendos, suspended cymbal rolls/ hits, and more auxiliary percussion for the drumset? Can you elaborate? How does marching percussion need fixing? How are hairpins hard to use? Note that there are limitations on what sounds are available for playback by default because MuseScore tries to conform to the General MIDI standard of 128 instruments, though this may change in 3.0. New user of MuseScore here, less than six months. Also not a percussionist, but I think I can help with many of the general percussion questions I have read here. I will preface with an example using horns. If I have four horns, each on their own separate channel, playing a unison line, the notes "stack up" in volume. Yet if I reduce the tracks such that the four voices share a single channel, the stacking effect is lost due to some kind of implementation that cuts off the duplicate notes in the track. Now what does this have to do with drum rolls? Using timpani drums for example, I believe what happens is that each "hit" of the drum cuts off the sustain of the note before it (when all the notes hit are the same pitch), creating the "machine-gun" effect. This can be worked around by entering each note of the roll individually and tweaking the microtuning of each note, which allows each hit to continue to ring out and fade as the MIDI sample intends. Obviously this only works for pitched percussion, otherwise I would have to set up multiple tracks if it were say a snare drum. The only way I know of automating any of this is to write a plugin that converts repeated notes to round-robins, which is a term I have heard elsewhere and something I wouldn't know how to develop. This is my first comment on the forums and I hope the way I wrote it is making some kind of sense. Regarding hairpins, I have noticed that a drum roll notated as a single note with slash marks through the stem does not crescendo throughout its duration, but that will be fixed in MuseScore 3.0 as it is the same issue as sustained-note crescendos with wind instruments. I think that is what the original commenter was referring to and it's already being addressed. By far one of the biggest shortcomings of the current release is inability to play back cord symbols. Many songs and tunes out there are published with symbols only, and it would be so useful to play cords as symbols, not notes. I don't understand fundamental difficulty to accomplish this as each symbol represents and 1:1 corresponds to a particular set of notes, so substituting one for another seems quite straight forward. Hi VT, this is indeed a long standing feature request. I personally requested this myself as well back in 2008 ( http://dev-list.musescore.org/MuseScore-the-perfect-lead-sheet-editor-t… ) when we even didn't have a MuseScore website yet. Today I would personally not request this feature anymore since there are other apps who do a perfect job playing chords with or without accompaniment. Instead I would keep MuseScore focused on engraving first, and playback after. Creating beautiful sheet music fast and easy remains our focus, even when we are making strides on playback as well. Oh! Of course! I was under the impression that MuseScore's focus was equal parts sheet music and playback! Thank you, Thomas. There’s https://github.com/berteh/musescore-chordsToNotes which allows you to create chords from symbols into a new staff line (which you can then hide, been there done that). Accelerando and ritardando should be correctly audible in playback (smooth changes, as already projected for dynamic changes = hairpins in MS 3). I hope this will also be fixed in MS 3. Moreover, input from a keyboard should be translated not only into the correct pitch, but also into the right rhythm (lengths of notes). It is obvious that the latter cannot be achieved with 100% precision, as humans do not produce note lengths that are 100% well defined. However, MS should be programmed do detect the lengths of notes with a predefined (and adjustable) precision (e.g., choice of precision down to a half, a quarter, an eigth, a sixteenth note, etc.). This is technically doable, someone just needs to do the programming work. "MS should be programmed do detect the lengths of notes with a predefined (and adjustable) precision..."
You are going to be super delighted with MuseScore 2.1 in the near future, then. ;-) Check out https://youtu.be/SanyFSOI-Xs. Thanks a lot. How about my question concerning tempo changes? Is the plugin "TempoChanges" the last word? It seems to be limited to decreasing (or increasing) the tempo by an equal increment each time a new note gets played (i.e., the tempo change is a linear function of time). Is there any chance to provide nonlinear changes? (e.g., an increasingly steep change in tempo from the first to the last note within the tempo change range of notes). As for dynamic changes: the current hairpin solution appears to make notes, for example, increasingly louder with each note played within the dynamic change range of notes. Again, these changes seem to be linear; any chance to provide the option of nonlinear changes (in analogy to the tempo changes suggested above)? Also, changing the dynamic of each subsequent note within the dynamic change range of notes may be sufficient for instruments based on picked strings, where the sound becomes automatically less loud after the string has been picked. However, for most other instruments (including voice) the dynamic may be changed at will WHILE a particular single note is being played (or sung). For instance, a wind instrument can produce a sound that is less loud at the beginning of a half note than it is at the end of the same half note. So far, MS playback does not seem to provide for that possibility. Changing dynamics on a single note is a pending feature since GSoC 2016, see https://github.com/musescore/MuseScore/pull/2722. I guess it will eventually make it into 3.0. That tempo change plugin is the final workd for 2.x. But there is hopw that shis might make it into 3.0 as a proper tool, maybe even as part of GSoC 2017. I hope that this time it will be a real implementation and not some trick to get around this. So I would be grateful if you'll can provide us with constant updates on the progress for this feature. Thanks a lot and have a great time! MIDI out is in master, so you can try out the nightly builds. I saw. But I'm not an advanced tester and don't want to take any risk. I'll wait for a definitive implementation in a stable release. Hi Mauro58, allow me to disagree. We need and rely on your feedback. If you stay silent and wait until the next release comes out, you risk to get something in your hands which doesn't work as you expected. So it's time to get your hands dirty now. Get the nightly build, try it out and give us feedback in a new forum topic. Thanks! You're not supposed to take risk, don't use it for "real production", but just play with it. Hello. Will there be an improvement on time signatures like adding 3/8+4/4? Because I tried adding additive time signatures on the previous version but it couldn't have the plus sign and space between the time signatures. Will there be an improvement on that and also the MIDI sound effects for like mutes on trumpets, horns, trombones, etc? Sorry if these questions have been repeated. MIDI effects for muted trumpet do work ever since (see https://musescore.org/en/handbook/mixer#mid-staff-change), for horns and trombones they are just lacking from General MIDI, so no way MuseScore could provide them. 3.0 is still deep in development and is still some ways out. If you follow the forums you can follow the development, mostly through bug reports in the issue tracker. You can also see what is being developed for 3.1 in the GSoc 2017 post, where young programmers are working with experienced programmers to develop new features for 3.0. Don't expect any expected release date any time soon. Not anywhere near. More several quarters ahead than several months. At least that is my view. I can't wait for this one. I'm really excited for the crescendo and diminuendo working with the expression controller.